CHARITY DAY - GET WIGGY WITH IT! 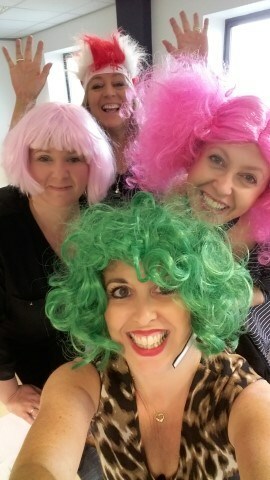 CHARITY DAY – GET WIGGY WITH IT! 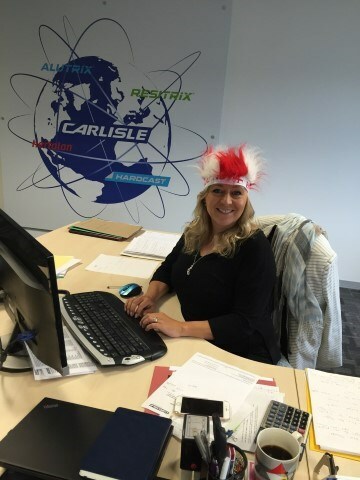 On 25th May, Carlisle Construction Materials participated in a really fun charity event called ´Get Wiggy With It´. 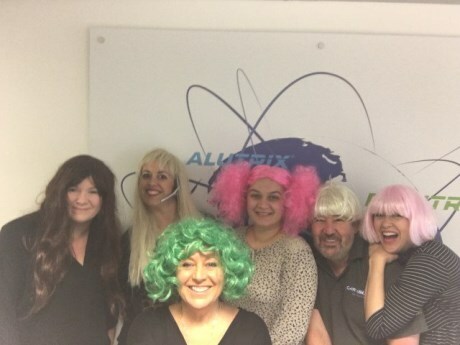 ´Wig Wednesday´ was hosted by CLIC Sargent who are a company that provide clinical, practical and emotional support for children and young people with cancer. As you can see everyone had great fun and felt it was a really good way to raise money for such a serious cause. 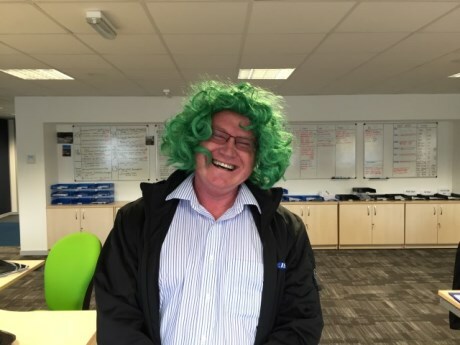 As well as all employees taking part by wearing various wigs throughout the day, we held a guessing game – guess how many coins are in the wig motif and we had the chance to nominate a ´big wig´ to wear a wig of our choice. Donations are still being taken, so far raising just under £100. Taking part, we all felt like ´Hair-O’s´! For more information on CLIC Sargent and for their latest charity events, please visit their website.